The best range of Kid's costumes for this years Halloween! 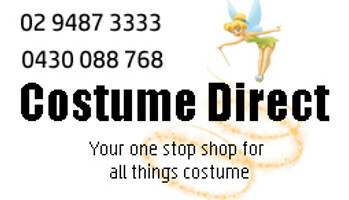 This online costume shop ships fast from Sydney, Australia! Terrify them all dressed as a spooky alien, howling ghost or chilling vampire. Defend the underworld as a fiery devil, or dress as any one of the stylishly-menacing girls from Monster High. We have pumpkin costumes for toddlers and children, skeleton costumes in a range of spine-tingling styles, and zombie costumes for you to lead the army of the undead with unrelenting vengeance. Give them nightmares this October the 31st with our Halloween Kids Costumes - you'll find the perfect costume for the spooky season with the help of CostumeDirect.com.au!